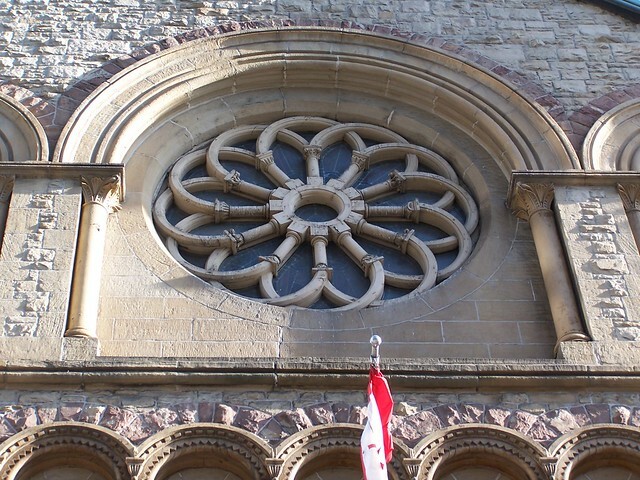 It’s been said that in the 19th century, there were more churches in Toronto than in any other city on earth. During that era, the city’s churches were mostly Anglican, reflecting the denomination of the early settlers. St. James Anglican Cathedral, for instance, is actually the fourth “St. James” church on its site on King Street East. The first three were wooden structures built in the early 1800s, all of which burned down, to be replaced by the present grand Gothic structure. Not far away stands St. Michael’s Cathedral, the Roman Catholic church built at the behest of Bishop Michael Power. The funds to construct it came from poor immigrants and wealthy converts alike. Parishioners dug the foundations in order to keep costs down. The Metropolitan United Church at Queen and Church completes the trio of downtown Gothic churches that gave Toronto its old nickname, the “City of Churches.” It started out in 1872 as a Methodist church. In 1925, that denomination merged with the Presbyterians and Congregationists to form the United Church of Canada. The Church boasts an impressive carillon (a set of bells played by a keyboard) and its music is one of the trademarks of the surrounding neighborhood. 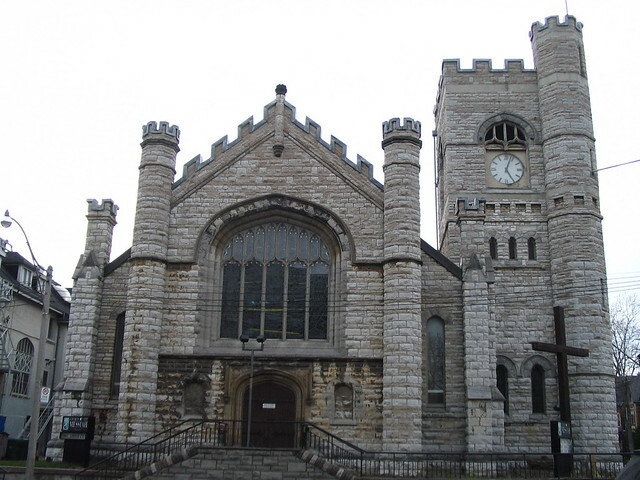 Other old and notable Christian churches in Toronto include St. Anne’s (1907), a National Historic Site, which is a recreation of the famous Byzantine Hagia Sofia in Istanbul; the former Prison Chapel (1829) within the restored Liberty Village neighborhood; and the one-time Edgeley Mennonite Meeting House (1823), which was relocated to Black Creek Pioneer Village. There is even a church on Toronto Island, St. Andrew-by-the-Lake, built in 1884 so that wealthy Torontonians like the Massey and Gooderham families could attend church more conveniently when they summered on the Islands. To this day, St. Andrew-by-the-Lake celebrates an annual Blessing of the Boats in the lagoon behind the church. Reflecting Toronto’s multicultural heritage, today the city boasts houses of worship that welcome people of all faiths, including Hindu, Muslim, Sikh, Buddhist, Baha’i and various movements within Judaism. St. John's Dixie presently occupies approximately 10 acres at the northeast corner of Cawthra Road and Dundas Street in Mississauga.